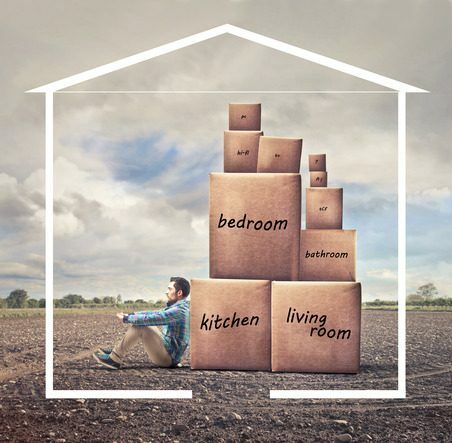 Tips for New Owners: Move-In Advice from a Property Management Company | Toronto Property Management Company - Mareka Properties (2000) Ltd.
Congratulations on finding your new place! Move-in days are exciting times for new owners, and they provide excellent opportunities for our property management team to make their introductions. One thing we consistently hear from new owners during these introductions is how tricky the move has been. You know the drill: the movers are nowhere to be found; the U-Haul broke down; your items are completely disorganized; the couch won’t fit through the doorway. Moving day is always full of these kinds of surprises, but our property management team wants to make the whole experience a little smoother. Though lugging your couch upstairs technically falls outside of our suite of property management services, we thought the following move-in tips would come in handy! Get organized way in advance. Leaving anything to the last minute is a recipe for disaster, especially on a day as important as your move-in. In most cases, new owners have plenty of notice of their upcoming move. Do yourself a favour and take advantage of the time you have: make a plan, book a truck, and recruit some movers way ahead of schedule. Get the right vehicle for the job. Certain moves are more demanding than others. Make sure that your moving vehicle is suitable for the task at hand. If you’re moving a short distance, making more than one trip may not be out of the question. But if you’re moving across town or into a new city, you need to make sure you’ve got a truck that can accommodate everything in a single load. Generally speaking, the contents of a bachelor and one-bedroom apartment will fit into a 16’ cube truck. Two or three fully furnished bedrooms will need something a little bigger: try a 24-26’ truck to cut out an extra trips. Most houses will need trucks of this size, and will typically take 2-3 trips in total to get the job done. Embrace the purge. Moving is an excellent opportunity to purge unnecessary items. Not only will you make your move easier and cheaper, but you could even make a little money in the process. Host a yard sale or flood online classified listings with items for sale and see what you can make. You might even cover the costs of your truck rental! Take inventory. This is vital if you’re hiring a moving company, but it can also come in handy if you’ve managed to recruit some friends with the promise of pizza and beer. Keep a record of your household items as you pack, and you’ll never have to worry about items going missing or getting lost in the shuffle. This will also make unpacking a breeze, as you’ll know exactly which room each box should be left in. Learn your condo rules. Moving into a condo isn’t as easy as pulling up and cramming your boxes into the elevator. You’ll need to contact your property management team to schedule a move-in day. Some condos will require a security deposit before you’re able to book a service elevator. If your condo is part of the Mareka Properties (2000) Ltd. network, simply call (416) 255-7300 or visit https://www.marekapm.com/ for all pertinent condo move-in information.